Here's an all-new game on Wizard Slots online casino. 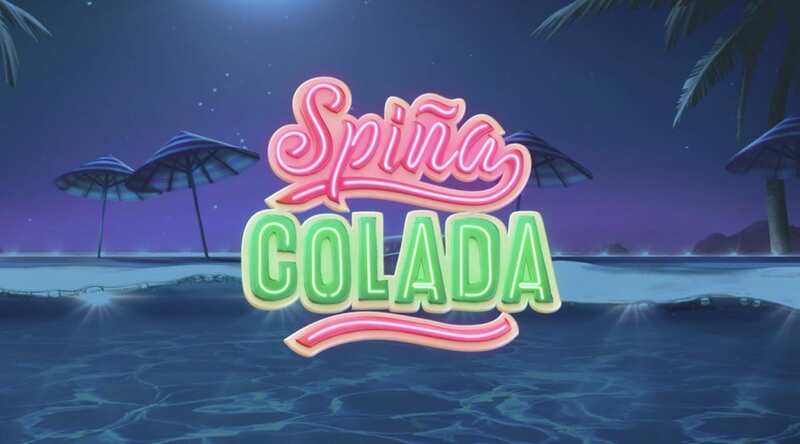 It’s that Summertime feeling every day here with the Spina Colada slots game produced by Yggdrasil Gaming. So, it’s time to throw on those sunglasses and make your way to the Spina Colada shack to kick back, relax and spin your way into a cocktail of features and bonuses as you sip on the rewards in your very own tropical setting. Start by making a deposit and play UK slots instantly! Yggdrasil Gaming who pride themselves on the title ‘superior’ received their first full licence back in 2013. They have successfully established themselves in the iGaming industry due to their maintained high-quality production and creativity, this had led to the company being recognised as a leading, well-respected supplier. Continually producing new fresh content for some of the biggest gaming operators known in the business. Spina Colada is just another example of the imagination Yggdrasil have when it comes to producing modern quirky games to cater for everyone’s taste buds. You can play some of the best slot games ever created by Yggdrasil Gaming. Spina Colada is a 5-reel motion image slot, with 25 pay lines. When first entering the game, you are greeted at the Spina Colada shack not far from the beach with a backdrop of the ocean blue pool. The shack boasts coin value buttons whereby all decisions are up to you, you can place a minimum bet starting at just £0.10 per spin or you can splash out on this holiday to make those cocktails yours with a max bet of £125.00. Plenty of mouth-watering menus are also pinned up at the Spina Colada shack providing you with some delicious bonuses. You may check this list for a guide on picking the best slots for you. Spinners can taste some cool free spins by matching 4 ‘Feature Caps’. Caps are awarded randomly, resulting in 4 free spins. The ‘2nd Chance Feature’ will provide you with a second opportunity. The ‘Full Line Feature’ will begin with a 5-of-a-kind win, ‘Extra Wilds Feature’ will begin with 2 free wilds. Lastly, the ‘Guaranteed Win x3 Feature’ will continue the spinning to help you win with a x3 multiplier. The name says everything about this game, fruit-filled slots with all your favourite tropical flavours, from watermelons and pineapples to strawberries and oranges to create that perfect blend for your very own classic Pina colada. 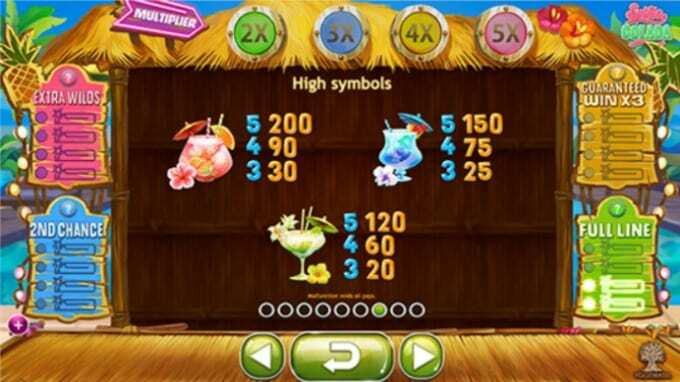 Be sure to get those Pina Colada’s to quench your thirst amid all the spinning, to keep you hydrated and on top of your game in this hot climate slots game.